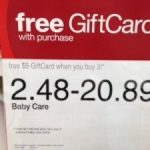 If you are looking for a deal on baby wipes, right now Walmart has a 600 count box of Huggies wipes for just $11.97! The box includes 8 refill packs. That’s just $.02 per wipe! You can order online and pick them up at your local store for free or you can pay an additional $1.47 and have them shipped straight to your home! The Huggies – Natural Care Baby Wipes are made for the baby’s delicate skin. These fragrance-free wipes help effectively clean and maintain the natural health of the tender skin. 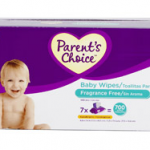 These hypo-allergenic wipes are alcohol free and contain aloe and vitamin E to avoid rashes and skin irritation to keep the baby happy and give you peace of mind. 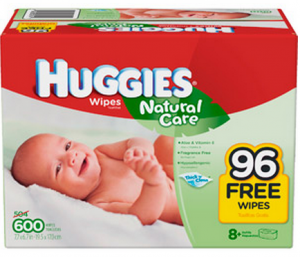 These Huggies baby wipes are also thicker than other wipes for easy cleaning and superior comfort. 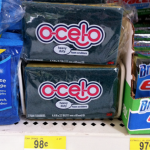 This pack consists of 504 wipes plus 96 free which takes the count to a total of 600 wipes. 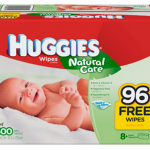 Huggies Natural Care Wipes – $.02 per wipe shipped!